Rose Ghee Eye Treat - .5 oz. 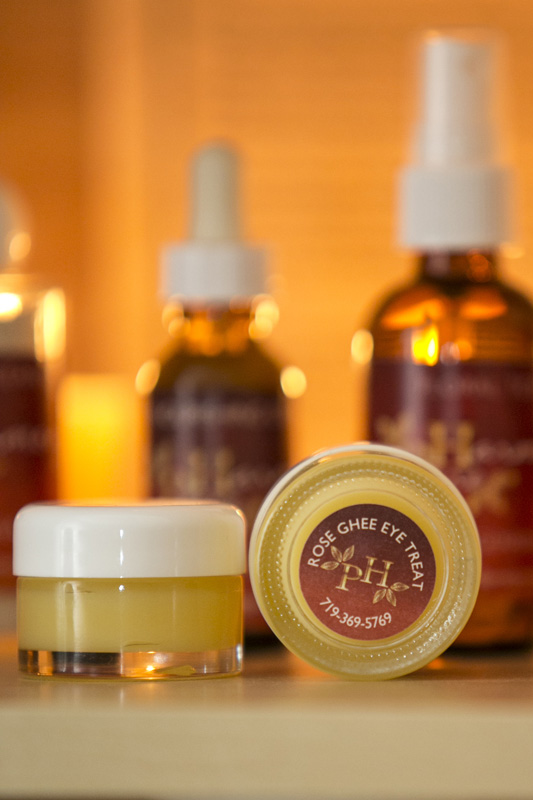 Home » Skincare Products » Rose Ghee Eye Treat - .5 oz. The most luxurious rejuvenating eye treatment and amazing eye makeup remover you will ever find. Made with organic ghee and pure rose otto, this eye makeup remover never stings. It nourishes delicate eye skin and lashes and takes off even waterproof mascara like magic. To remove eye makeup, gently massage 1- 2 drops over entire eye area including lashes. Then using a warm or cool moist wash cloth, gently wipe away eye makeup. *Important: Hands should be clean and dry before using as this product is preservative free and introduction of moisture and other substances can contaminate the product.